Do I have alopecia areata barbae? admin November 22, 2018 November 22, 2018 No Comments on Do I have alopecia areata barbae? Could my patchy beard be alopecia areata barbae? Have you noticed irritating small areas of your beard that lose hair, have patchy areas with missing hair or wispy thin hair only, compared to the rest of your beard? If you have, this could indicate you had a fairly rare condition called alopecia barbae also known as alopecia areata beard. Those affected with this autoimmune disease can see hair loss patches anywhere around beard area, commonly on the cheeks or jawline. Why do I have hair loss in just some areas of my beard? This not a fungal infection or any other kind of skin infection, it is actually known as an autoimmune disease. Your own immune systems mistakenly treat some of your hair follicles as foreign to your body and treat it as a threat. This leads to inflammation and irritation of the hair follicles, leading to hair loss. What can I do about it? I don’t want to shave it all off! Currently, there is no cure, But, there is some very promising new research showing that new evidence-based alopecia areata treatment is on the way. Visit a dermatologist or other skin care specialist or medical professional for advice. For many sufferers, the problem can just go away after a few months, usually because of a related triggering underlying cause like stress or anxiety has been managed. So stick with it! We research into the wider causes and triggers of alopecia areata here. Run-on Steroids – Creams, gel or sprays available over the counter. Growth stimulators – Focusing on stimulating blood circulation to the area. Hair transplantation – But this is rarely used for the beard! But, as we said there is no current cure, so these treatments will usually only last for as long as you continue to use them. Hair loss caused by alopecia barbae, alopecia areata beard, can commonly grow back within a few months without treatment. So keep trying, don’t give up on your beard! How serious is Alopecia Barbae? Alopecia areata beard is not serious, not contagious and causes no other health problems. So please remember this as you look into different, sometimes expensive, treatments. Using wild natural yew , ginkgo, Polygonum and dozens of rare and valuable native medicinal plants, safe and healthy. 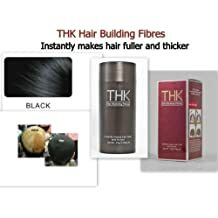 Use within one week after the basic control hair loss, 1-3 months and gradually grow new hair. For seborrheic alopecia , androgenic alopecia , alopecia areata, physical alopecia , chemical alopecia. This product will be placed thermostat 20 degrees in the shade. Shelf life is 3 years. ACCELERATE HAIR GROWTH & PREVENT HAIR LOSS – Our hair growth tonic contains highly efficient active ingredients which stimulate blood circulation and deliver vital vitamins and nutrients to hair follicles. This boosts hair growth and combats hereditary hair loss. MORE EFFECTIVE THAN MINOXIDIL – Panthrix contains Redendsyl®, the active ingredient distinguished in 2014 with the In-Cosmetics Silver Award for innovative active ingredients. This contains the patented molecules DHQG and EGCG2, which promote the multiplication of stem cells of hair follicles. Clinical tests show that Redensyl® is 81% more effective than Minoxidil. EASY DISPENSING – Just press the pump cap to dispense whatever amount you need. Usually, 3 to 6 pumps are enough to cover your scalp with the active ingredients. FAST RESULTS – The first signs of improvement should be visible within the first two months. You should see excellent results within about three months. 2-MONTH SUPPLY – With recommended use twice per day, the 100ml bottle is enough for about 60 days. Alopecia areata patients now have a reason to be optimistic as investigational new drugs targeting this autoimmune disease are showing that evidence-based medicine will arrive for alopecia areata treatment. Evidence-based Alopecia Areata Treatment. JAK Inhibitor oral therapy. There are currently no evidence-based medicines approved for alopecia areata treatment on the market, many available treatments and ‘cures’ are based solely on steroid applications thought to suppress that local immune reaction that causes the irritation of hair follicles leading to alopecia areata. Many pharmaceutical companies are granting significant research grants sponsoring on-going studies into alopecia areata treatment. This follows increasingly positive results of the ‘JAK inhibitor’ oral therapy trials. Janis Kinase inhibitors (JAK) are currently available, including tofacitinib (Xeljanz), baricitinib (Olumiant) and ruxolitinib (Jakafi), but none have been approved for alopecia areata treatment at this time. Molecular biology research is now producing exciting emerging alternatives for autoimmune diseases, the most promising of which are Janus Kinase inhibitors (also known as JAK inhibitor, JAK or JAKis). At a high level Janus Kinase is part of a family of intracellular signal pathways responsible for transferring proteins between cells. Treatment using inhibitors begin to evidence that inflammatory responses can truly be suppressed, allowing hair follicles to return normal function. There are several studies using targeting therapies researching alternatives to alopecia areata treatment and other autoimmune diseases. Patients suffering from alopecia areata, alopecia totalis and alopecia universalis have taken part, many showing promising results. The most recent studies include multicentre, double-blind and placebo-controlled randomised testing of patients using an oral Janus kinase inhibitor (JAK3), an oral tyrosine kinase inhibitor (TYK2) or a placebo. Using the Severity of Alopecia Tool (SALT) a mean baseline of over 85% SALT was recorded. At almost six months into the trials, the score had dropped by a mean of over 33% for the JAK 3 inhibitor and almost 50% for the TYK 2 inhibitor group. So each of the trialled Janus kinase inhibitors individually showed very impressive results, including efficacy, acceptable safety and tolerability for treatment of chronic moderate to severe alopecia areata. Most notably SALT improvement score of 0% was recorded for placebo-treated controls, due to the success in recruiting patients with only truly chronic alopecia areata. Continued research success using Janus kinase inhibitors will lead to evidence-based medicine for alopecia areata arriving. The significant grant money in support of research from may pharmaceutical companies will only serve to accelerate the development of available alopecia areata treatment medicine. Can Alopecia Areata be caused by stress? admin September 8, 2018 September 29, 2018 No Comments on Can Alopecia Areata be caused by stress? The autoimmune disease alopecia areata can be caused by stress, It is regularly linked to stress and anxiety as triggering factors that can cause the patchy hair loss. When you notice sudden or patchy hair loss when combing or washing hair, you should seek professional medical advice. The good news is that hair loss caused by stress is not usually permanent. Hair can grow back, but it can take three to six months after the stressful situation has passed or been sufficiently managed. See our continuing research into “What causes or triggers Alopecia areata?” for more information. There is also a wide range of treatments available that can help manage the signs of hair loss and some even claim to stimulate the regrowth process. Below are a few examples of those with the most positive reviews. 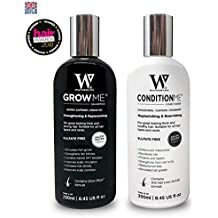 ✓ For hair growth, slowing the rate of hair loss, ✓ improving your natural growth rate or thickness and condition Watermans is the product for you. 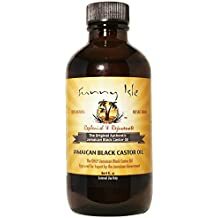 ✓ Will help stimulate your hair growth, strengthen hair follicles, improve scalp circulation and condition. ✓ This makes your scalp the cleanest and best possible place for hair growth. Bactericide-free and preservative-free, is safe to use for all hair loss conditions and will not cause skin irritation. admin July 20, 2018 July 20, 2018 No Comments on Is there a cure for alopecia areata? There are many sufferers, clinicians and medical professionals constantly searching for a cure for alopecia areata. Currently, this autoimmune skin disease cannot be prevented or cured. However, there are a wide variety of treatment options now available that can deal with the symptoms for the duration of the treatment. Even though there is no cure for alopecia areata, depending on the extent of hair loss, there is a very good chance that around 80% of sufferers can experience complete hair regrowth within a year, without any treatment. Further hair loss episodes could still occur in the future. If there is extensive hair loss, the chance of regrowth is greatly reduced. Research shows that those experiencing hair loss of over a half at the start, or total hair loss at any stage, have as little as 10% chance of a full recovery. Young children, or those sufferers with other conditions including eczema, can also see their chances of full hair regrowth limited. See our latest research page on alopecia areata treatment to find out the current options available to stimulate hair regrowth, embrace the look, or even to disguise, cover or conceal.